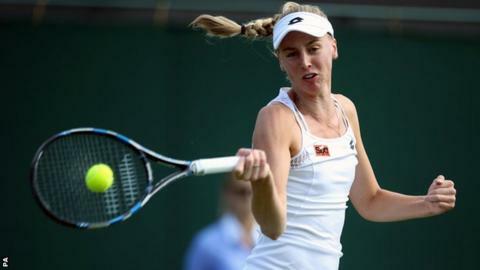 British number three Naomi Broady won her first WTA Tour main-draw match since April with victory in the Citi Open first round in Washington. Broady, 26, beat American world number 70 Irina Falconi 6-3 6-4. World number 84 Broady lost to Elina Svitolina in round one at Wimbledon and had not won on the WTA Tour since the Katowice Open three months ago. She will face American second seed Sloane Stephens or Japan's Risa Ozaki in round two. How far can rising star Edmund go? Read more on Davis Cup: How far can Britain's Kyle Edmund rise?